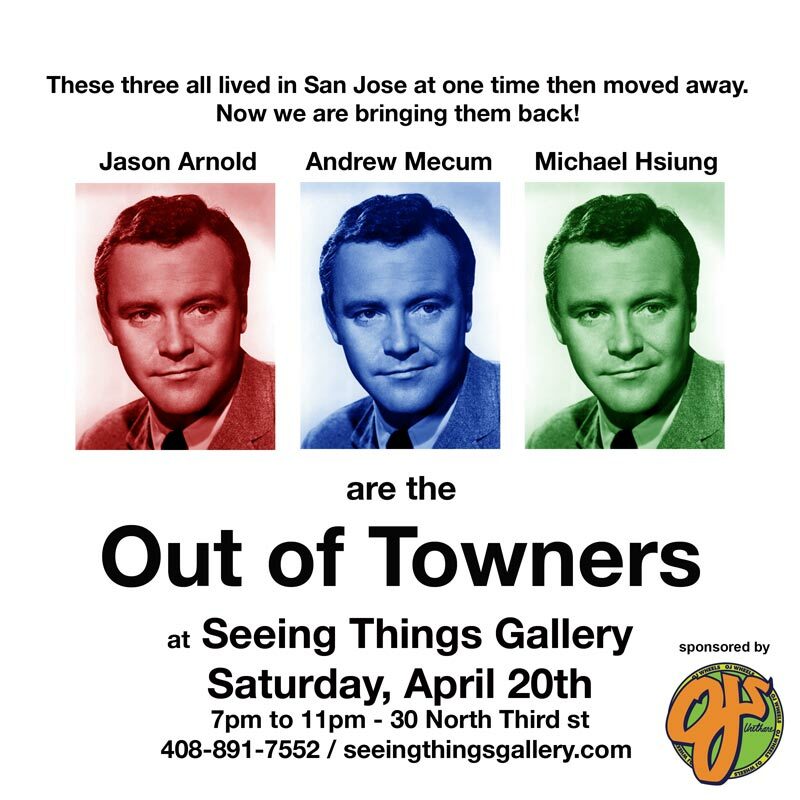 I’ll be participating in an upcoming group show, Out Of Towners, which features myself, Jason Arnold, and Andrew Mecum, at Seeing Things Gallery. Show opens Saturday, April 20th from 7 pm to 11 pm. We all at some point lived in San Jose and moved away, but this show nicely brings us all back. Also, check out the Q&A I did with Seeing Things Gallery find out how the hell I ended up in SJ and why I left, and what am I doing now.